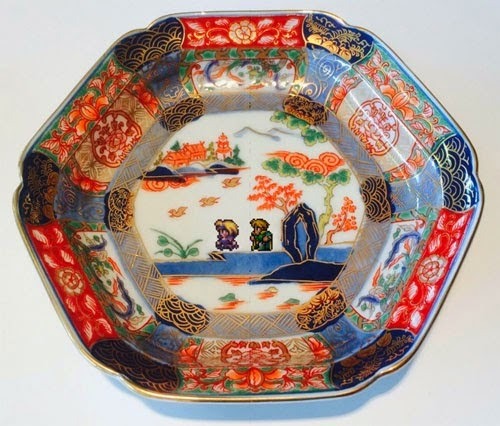 The powers that be at Square Enix have chosen a wonderfully weird way in which to celebrate the 25th anniversary of its SaGa games: porcelain dishes. 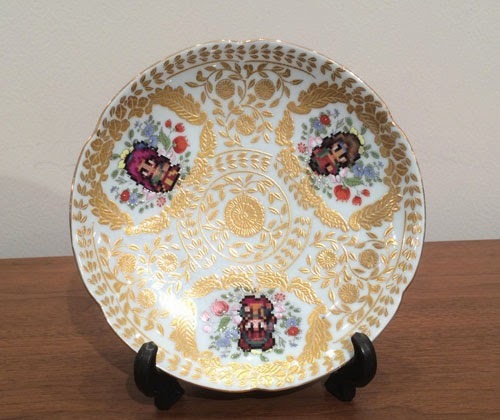 Specifically, the Tokyo-based purveyor of Japanese RPGs is recognizing the milestone by selling a slew of porcelain platters, plates and cups that feature artwork related to the quirky series. My favorite of the bunch: the following cup-and-saucer set that'll only set you back about $200. The seven-inch platter seen below is pretty sweet too, though--plus, it's comparatively "cheap" at $150. To ogle the rest of Square Enix's SaGa anniversary dishes (including a couple that ring in at just under $10,000 apiece), head over to store.jp.square-enix.com/special/saga. I agree. 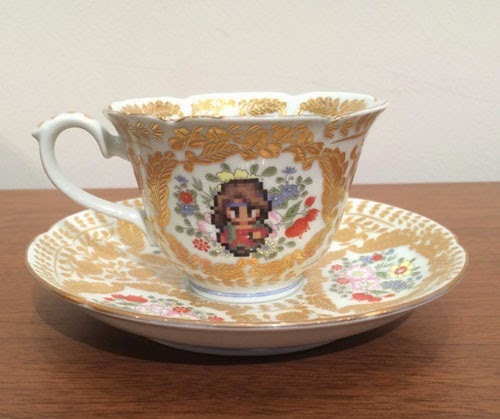 The cup and saucer set would make an awesome impression for gamers visiting the home. Square Enix should branch out and do mugs, cereal bowls, and other things too. great post! Thanks, Bruce! And I agree wholeheartedly that SE should make more of these products--especially if they feature Dragon Quest or Final Fantasy sprites or illustrations, in my opinion. Hi i cant figure out... This gameboy box on link (with tetris game in bundle) its the second release? or this on post? (with gray base and red/yellow with frames). They're so pretty I think I would have trouble putting food on them. Oh, me too, Sam. They'd be used as decoration only in my home! So... this picture box on the post is what version? Thrid one? The packaging shown in this post (my photo) is of the second version. The one shown in the link I included in my last comment to you was the first version.